This homemade coconut lotion bar post has been sponsored by SC Johnson but all opinions expressed are my own. Summer is finally here and while many of us are spending our days out in the hot sun, the warm weather can do some serious damage to our skin. Making homemade skin moisturizers is a great way to combat dry skin without shelling out a lot of money on high-end beauty products. With just a few simple ingredients, homemade coconut lotion bars are a great way to nourish and pamper your skin. Come check out the simple ingredients and directions in my post on the SC Johnson Greener Choices blog. Disclaimer: I have been compensated for the articles I write for SC Johnson but all opinions expressed are my own. I love the bars and keep one by my bedside to use every night before going to sleep! 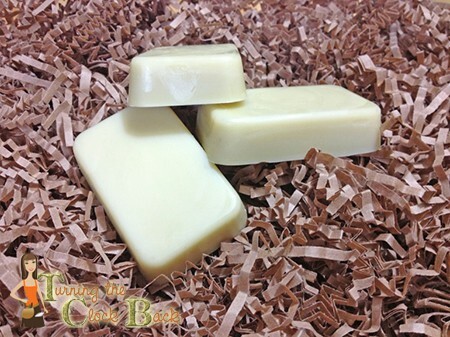 What a great idea, love the thought of making your own lotion bar and the coconut must smell just gorgeous, will definitely check out the post. You can actually smell both the coconut and the peppermint oil I used and they really do work well! Hope you enjoy!